More information about the A Dogs Life: Inspiration for Dog Lovers Everywhere Book. 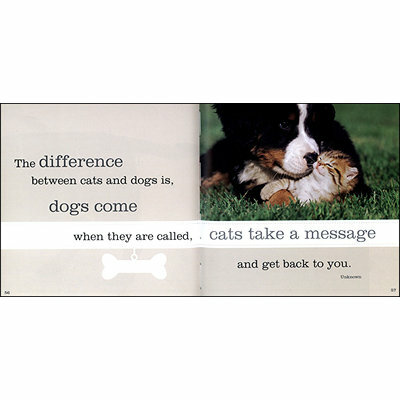 A Dogs Life: Inspiration for Dog Lovers Everywhere Book: This adorable collection of cute canine pictures and heart warming quotes is dedicated to our lovable and faithful four-legged friends. The wag of their tails speaks a thousand words and their loyalty knows no bounds. Dog lovers everywhere will know how dogs delight and enrich our lives and that they truly are a man's best friend. This book may have a small Remainder Mark.